When I was a kid my grandma made chocolate zucchini cake more than zucchini bread. I thought zucchini was horrible – any vegetable, really – so I missed years of opportunity to eat a great recipe. I love that your food posts bring me back to childhood so often! Droooooollllll……. I want some. Now. lol I was looking for the footnote to see what else you had to say about it. 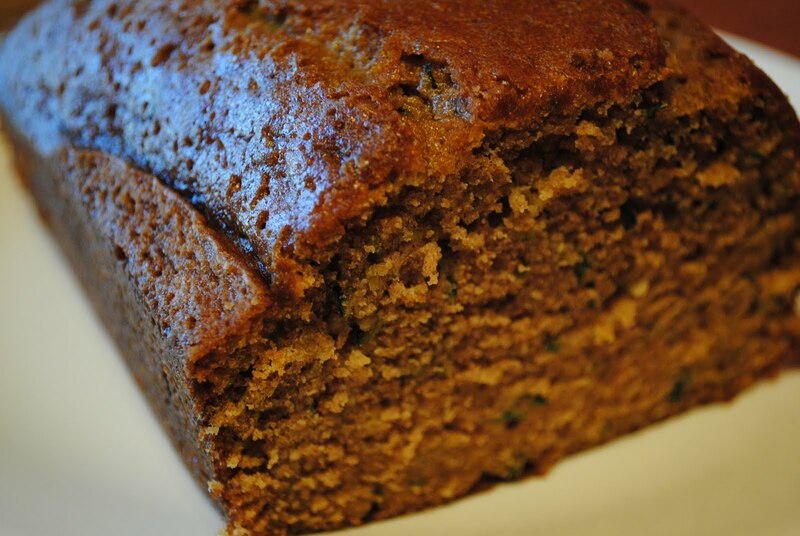 I had no idea that there was a National Zucchini Bread day, if I had then I’d have released my ‘Let them eat Chocolate and Zucchini cake’ post today instead of back in February! Aagh! Is there a national day for every kind of food? I love eating courgette/zucchini – especially raw thinly sliced in a salad. Its good to know from your post that they have so many nutrients. Thanks! In France I have eat stuffed zucchini flowers – tasted wonderful.